Bristol area businesses have today been recognised as ‘export champions’ by the Department for International Trade (DIT) and International Trade Secretary Liam Fox. Thatchers Cider, advanced engineering group Renishaw and cheese maker Lye Cross Farm are among 15 leading exporters from across the South West to appear at an event for firms with export success stories to tell in Bristol today. The firms were selected by DIT for their inspirational approach to growing their businesses through exporting, and will now encourage other businesses in the region to start exporting. Named among the 15 today along with Thatchers, Renishaw and Lye Cross Farm are specialist engineering firm Alderley, advanced electrical distribution firm Viper Innovations and Rockit, which develops innovative products to help children sleep. Their appointments to the elite group of ‘export champions’ comes at a time when worldwide appetite for South West goods continues to grow. Last year exports from the region rose by 5% to £21.5bn compared to 2017. The firms will act as champions and offer practical advice on how to turn exporting ambitions into a reality, and guidance on how DIT can help them break into new markets. Dr Fox, who attended today’s event Bristol’s Ashton Gate Stadium said: “What is clear from meeting businesses today is that there is a growing appetite for goods made in the South West. But there is still so much potential to do more. 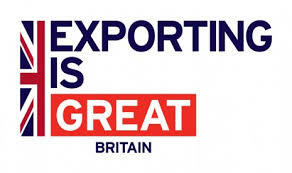 The Export Champion is part of the DIT’s Exporting is GREAT campaign and was introduced in response to a desire from businesses to receive peer-to-peer exporting support. There are now 250 Export Champions across England, and the department’s ambition is to expand the programme to at least 1,000 by April next year. DIT South West head of trade Paul Shand said: “The South West’s new Export Champions embody global ambition and they are the best candidates to inspire and guide other local businesses on their exporting journey. Alderley, based at Wickwar, South Gloucestershire, is a leading engineering company specialising in the design and manufacture of equipment for the global oil and gas industry. The company, which employs 364 staff members, earns around 60% of its £54.3m turnover from exports. Its systems are installed in more than 50 countries worldwide – Saudi Arabia accounted for 45% of total orders in the past 12 months. Lye Cross Farm, based at Redhill, is a family farming business involved in dairying and traditional handmade English cheesemaking. It employs more than 130 people and has been making cheese in Somerset since 1952. Exporting began in the late 1990s with a real focus on international markets developing in 2008. It currently exports to more than 40 markets, with the US as the most significant. Exports contribute nearly a third of the company’s £30m turnover. Advanced engineering technology group Renishaw, based in Wotton-under-Edge, began doing business overseas soon after being formed in 1973. Last year 95% of sales of its products, which span precision measurement, 3D printing, spectroscopy and neurosurgery, were derived from exports and the group has 80 offices in 36 countries, selling to many more via distributors. Its top four markets are China, USA, Germany and Japan. Portishead-based Rockit’s launch product is a portable baby rocker that attaches to any pram or stroller and gently rocks it. The company, which employs three people, started exporting 18 months ago and now 57% of its turnover is attributed to exports, with its products selling in 36 countries across six continents. Australia is its largest export market. The company said exporting had been significant for Rockit in increasing turnover and generating brand awareness globally. Family-owned Thatcher’s Cider, based at Sanford, near Weston-super-Mare and best known for its Gold cider, has been exporting for more than 20 years and is now selling successfully in 20- plus countries. With a turnover of £100m and 200 permanent staff, exports contribute to 2% of turnover and continue to grow. Its top market is in Australia where Thatchers works in partnership with Coopers Beers. Portishead-based Viper Innovations supplies the global subsea oil and gas market with cutting-edge products that monitor, detect and locate cable insulation and conductor faults on well heads. Its first contract almost 12 years ago was an export and since then international sales now account for up to two-thirds of its £7.5m turnover. It currently exports to Asia, Australia, West Africa, USA, Norway and Europe. In the past, the company also exported to Kazakhstan, Azerbaijan and Brazil.